We have a part specialist available to answer your questions from 9AM to 5PM ET Monday thru Friday. 9AM to 12PM on Saturday. Welcome to Drum Hill Cycle and Used Motorcycle Parts! We Specialize in bring you quality used motorcycle parts. We have been in the motorcycle used parts business for over 23 years in massachusette. In 2004 we opened our online store providing our customers worldwide the ability to purchase used motorcycle parts from their comfort of home or office. We bring you good quality used Honda parts, used kawasaki parts, used Suzuki parts and used Yamaha parts. most of the used motorcycle parts we offer you come from good running used motorcycles that we buy directly from our customers to sell you motorcycle used parts. Since we buy the entire used motorcycle we are able to provide you anything from the motorcycle frames with a clean title, used motoecycle tires, used motorcycle wheels, used motorcycle headlights. used motorcycle engines, used motorcycle gas tank, used motorcycle seat, and more used Yamaha parts, used kawasaki parts, parts, and used Honda parts, parts, and used Honda parts. We also offer our customers used motorcycle tires as well as new motorcycle tires. Our used motorcycle tires are guaranreed to have at least 65% thread life. Our used motorcycle tires are all major brands which you will recognize as Continental, Dunlop, and Michelin. If you are looking for motorcycle used parts that you do not see listed on our motorcycle used parts site please feel free to contact our used motorcycle parts specialists. As well as providing you many used motorcycle parts for your sports bike we also carry discount motorcycle accessories for your Honda, Yamaha, Kawasaki, and Suzuki motorcycle, such as motorcycle helmets and motorcycle covers. As well as more used Yamaha parts and discount motorcycle accessories, used Honda parts and discount motorcycle accessories, used Kawasaki parts and discount motorcycle accessories, and used Suzuki parts and discount motorcycle accessories as well as other motorcycle used parts and discount motorcycle accessories. We guarantee all used motorcycle parts from out used motorcycle engines, used motorcycle headlights, used motorcycle seat, to used motorcycle tanks are in above average quality both visually and in performance. 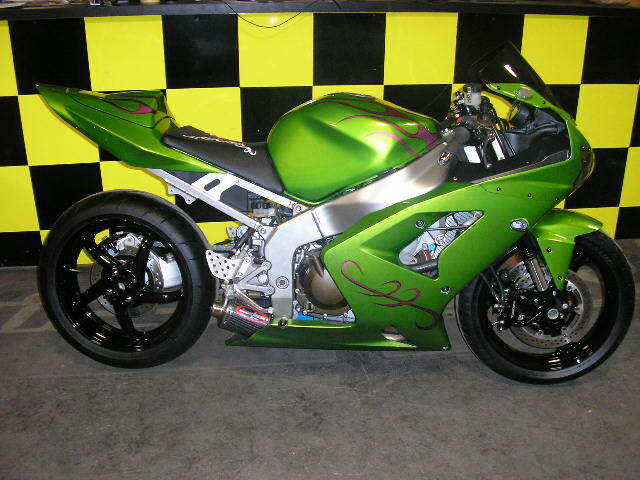 We also sell good quaility running used motorcycles ready for you to ride home today! to be listed. Our Dirt bike parts web site is now online and you can now order Dirt bike parts. We will have around 10,000 motorcycle parts listed on our used dirt bike parts web site by mid summer. by the time winter rolls around our snowmobile parts web site should have around 10,000 used snowmobile parts available for you to order online. We have same day shipping for out motorcycle parts and snowmobile parts.